Sheckler is at it again. But this time around with his own clothing company. I saw this coming when he split from Volcom. I also saw some of the gear at last year’s Maloof Money Cup. He is 100% sticking by it though and it will be interesting to see if and who he sponsors as well. The clothing line is going to be titled “RS by Sheckler”. He signed the deal with Wicked Fashions Inc.
I’m not sure what’s up with all the strange “by and for” campaign branding going on. 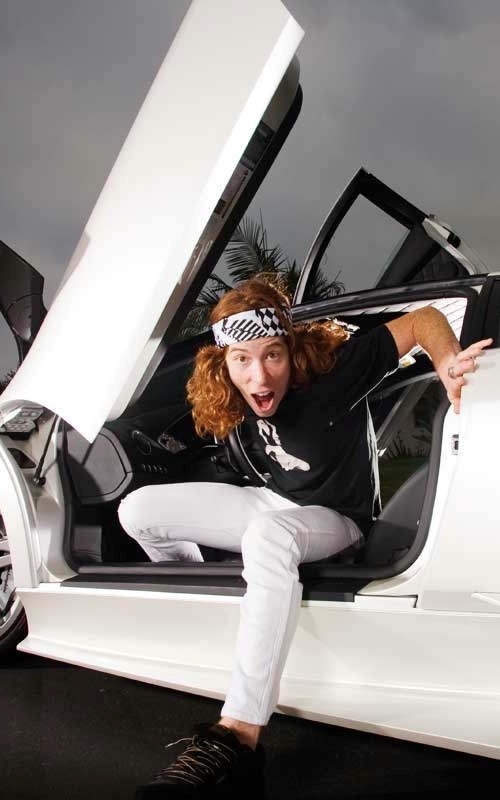 Reminds me of “Shaun White for Target” in a way. Strange but either way, whether you support it or not, I am positive it’s going to do pretty darn good. Expect to see it at a local major retailer near you. I’m guessing this means JC Penny’s, Wal Mart and Macys? According to their press release, the prices for the clothing will range from $15- $55 for young dudes and $12- $48 for the little dudes. Ryan Sheckler will even have a larger than life billboard in Times Square which is pretty all out. If you’re curious as to who else has sparked under the Wicked Fashions group, you can look upon Southpole clothing as a prime example. Expect to see “Shecks” EVERYWHERE soon! Have you ever wondered just how much your favorite action sports athletes are getting paid to “work”? I know I have. Thanks to Forbes Magazine we can all get a little insight into just how much these pros are raking in every year. Action sports stars are starting to get noticed by a broader audience, and that has meant bigger paychecks, thanks to rich sponsorship deals. Topping the list, and not to anyone’s surprise, is Tony Hawk. Shaun White’s not far behind though and at the rate he’s going, it won’t be more than a couple years before he passes up Mr. Hawk. Excluded from the list are women athletes, not because Forbes is sexist, but they just don’t make the cutoff of earning $1mil or more per year. The highest paid females are estimated at making about $750,000 per year. Also notably missing from the list is Rob Dyrdek. His MTV shows, combined with his endorsements, are surely netting him at least a cool mil every year. Is there anyone else you can think of that is missing from the list? Remember kids–if you want to grow up to be rich and successful, forget about spending 20 years in school to become a doctor or lawyer. Just drop out and build a vert ramp in your backyard. It’s that time of year again and here are the top 10 moments in skateboarding for 2008. Drop us a comment below if you disagree of if we missed something you strongly feel should have made the list. 10. Chaz Ortiz winning a Dew Tour stop! Why did this make the list? Because someone finally won one of the darn contest stops other than Sheckler or P-Rod. So stoked to see some new blood winning a contest. This kid is breaking through fast. Pretty soon it’s going to be him winning all the contests. 9. Split clothing going down and out! This shocked and not only surprised a lot of people, but it let many know that even the big companies aren’t safe from the economic pinch. I would have never guessed that Split was going to call it quits. Especially with the new video about to drop. Where did all that footage go? I still want to see it. DEMONS IN THE ATTIC?! Where’s it at? 8. 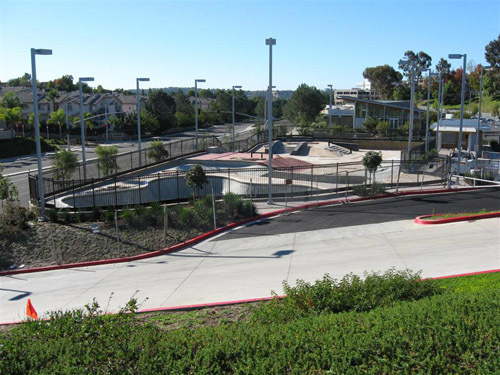 Southern California Skate parks! Yes this has been a massive year for newly opened skate parks here in So-Cal. 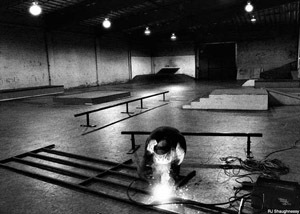 including what I consider our first legit Skate Plaza. Well first one that I think looks spectacular. If you are ever in Wilmington, Ca go on by and have a sweet session there. Its so worth it, seriously. 7. Thrashers Bust or Bail contest had to make the list. 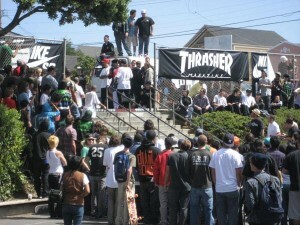 The contest was held at the world famous Paul Revere 16 stair in San Francisco. $25,000 was at stake and none other than Ryan Sheckler took top honors. Tons of first time tricks were done there as well and the bar was set super high. I honestly don’t even know what else to think of someone doing on the set anymore. 6. Goofy vs. Regular is always a highly anticipated contest. This year the Regulars took the trophy back. Chris Cole seriously annihilated the course. Although I still don’t agree on the way they settled who won by playing a game of skate in the manner they did. I do agree that the Regular team killed it. I skate Goofy so I voted for my side but I got to hand it to the regulars this year. Goofy has it next year though just watch! 5. The Berrics!!!! Everybody knows about Eric Koston and Steve Berra’s private training facility. The Berrics took 2008 by storm. All year long there was something big happening underneath that warehouse of theirs. Not only that, but just the whole indoor training facility footage craze this year has grown tremendously. The Berrics has my vote though for the gnarliest. Clever, unique, intriguing, and always entertaining to watch. 5 stars for the Berrics! 4. The Blind team! These dudes took every team contest this year, like the Vans Downtown contest! These dudes held it down big time. And its rad because it seems that everyone voted against them or for some other team throughout the competitions only to watch these guys come up big. Still got my Gideon Choi deck! Blind goes way back. History for days. 3. S.O.T.Y. winner Silas Baxter Neal. Yes the man deserves it. A fabulous part in Es “eSpecial”, and a worthy winning of “Best Rookie” at the Transworld awards. Oh yea and an “Inhabitants”, and more recent Strange Notes part. Don’t forget all of the magazine covers and the mass array of photos featured just about everywhere. The dude needs his own pro shoe already! 2. Lakai’s the Final Flare! This skateboard video absolutely obliterated the stereotype that skate videos would no longer sell. It just goes to show that if you make a video actually worth buying, it WILL sell! It will forever go down as one of the greatest skateboarding videos of all time. And all throughout 2008 everyone around you was talking about this video and you know it. Hats down and a massive applause to the Lakai dudes for this masterpiece. 1. The Maloof Money Cup! This contest had the largest cash purse of any skateboard competition of all time. I was there and witnessed the craziness go down firsthand. It was amazing! Probably the biggest batch of big time skateboarding names in one location at one time skateboarding. The course was unlike anything I had ever seen. And to make it even more insane they destroyed the entire thing after its contest use. The skateboarding that went down during the contest was unheard of. And the star studded guests and world wide attention it grabbed shook the year 2008 with a seismic 10.0 magnitude earthquake. And the best part is that it looks like the contest is here to stay. Thrasher’s Skater of the Year! Yup, it’s that time of the year again and the top dawg at Thrasher, Jake Phelps, is going to be announcing this year’s winner in about a week from now. So get on over to the Thrasher website and throw in your votes. Last year the crown went to the 3 song part for Mr. Marc Johnson himself, which was almost a no-brainer and the dude basically earned it by a landslide. The previous year to that, Daewon Song took it. This year its anybody’s game, really! I don’t really feel there has been one single individual that has outdone everyone else. There have been so many gnarly skateboarders that it’s pretty hard to tell who will be this year’s winner. If you are deeply having trouble deciding who to choose here are a few names I would recommend in no particular order. Chris Cole: the guy had the ender part in the latest Fallen video. His tech trickery was unbelievable and I saw a lot of firsts in his part. Chris Cole could basically throw a one man demo with himself. He is just that good. Greg Lutzka: please tell me you saw this guys United by Fate part? If you did there is no question why this guy could win SOTY. Plus he is everywhere right now. You would be surprised where you see Greg Lutzka being advertised in. Always keeping it true to skateboarding though. The guy is going big. 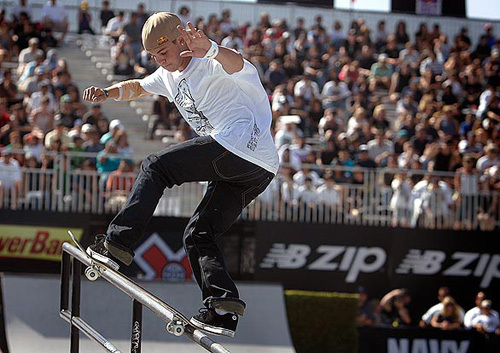 P-Rod and Sheckler: Both are good candidates for obvious reasons. They have both had outstanding years. Not to mention the cash they stocked up this past year from contests and shows. Either one could totally win the SOTY easily although I think it would be nice to see someone else win it. Got to share the wealth fellas. Steve Berra: Berra would be an awesome candidate for the SOTY this year. The dude made the BERRICS! How dope is that. On top of that you know he has an epic part to unleash any day now. Other good options would be Chris Haslam because the guy is way overdue for a SOTY award. Cody McEntire for the first part in a long time that made my jaw drop. (Smoke & Mirrors) watch it! Danny Way is a maniac and has every right in the world to win a SOTY again. And the list goes on. There are just too many people that could take it. Who you choose is your choice but choose wisely. Your choice will forever impact skateboarding. Just kidding. You will find out the winner next Friday, November 21 at 9am PT. Goofy or Regular? The debate between the right and left continues with etnies’ fifth annual GvR skateboarding contest taking place October 2-5, 2008 at the etnies Skatepark in Lake Forest, Calif. Started in 2004, GvR is the first and only team-oriented skateboarding contest in which Goofy-footed and Regular-footed skaters compete in an action-packed weekend of non-stop skating. This year, many of the world’s best skateboarders, including Ryan Sheckler, Jereme Rogers and Chris Cole, will compete in the tie-breaking forum before a crowd of more than 15,000. Past competitors include Andrew Reynolds, Billy Marks, Nyjah Huston, Rick McCrank and Sean Malto. The event will be held at etnies Skatepark of Lake Forest, a 40,000 square foot concrete haven boasting a street section, pools, music and free admission. Each team captain will pre-qualify five skaters who will go straight to the final GvR competition. Saturday’s events will consist of qualifying rounds for the rest of the skaters from each team while Sunday will feature the final conflict of the stances after which the winning team will be announced settling the score once and for all…or at least until next year’s competition. Goofy Team Captain and Skateboard Mag Editor-in-Chief Dave Swift is being elusive about his selection for his starting five skateboarders. Will Swift’s strategy of keeping his team roster secret as long as possible pay off with a win for Team Goofy? Admission to GvR is free of charge and in addition to all-day skating, this year’s festivities include legendary punk rock band Bad Religion taking the stage with a special performance Saturday, October 4, 2008 at 8:00pm. Tickets to the Bad Religion concert are available at select etnies retailers throughout Southern California and while the performance is free, tickets are required for all admissions. Everyone who attends GvR can also enjoy the Festival Village area which is open for the duration of the competition, and has something to do for everyone. Fans can enjoy food, activities and exhibits from sponsors including Grind for Life, Oakley, Keep-A-Breast, FUEL TV and more. For the first time ever, gamers can compete in etnies’ GvR competition in Skate 2, being released for the PlayStation® 3 system and the Xbox 360® video game and entertainment system in 2009. Developed by Black Box, a studio of Electronic Arts (EA), Skate 2 delivers all the grit, creativity and culture of skateboarding. EA Skate 2 doubles the bag of tricks and allows gamers to get off their board and move objects to create and share their ultimate skate spots. Established in 1986, etnies is the first skateboarder-owned and operated global action sports footwear and apparel company. etnies not only pushed the envelope by creating the first pro model skate shoe, but it pioneered technological advances and changed the face of skateboard footwear forever. Today etnies’ vision is to remain the leading action sports company committed to creating functional products that provide the most style, comfort, durability and protection possible. etnies stays true to its roots by sponsoring a world class team of skateboarding, surfing, snowboarding, moto x and BMX athletes and continues its dedication by giving back to each of these communities. For additional information, visit www.etnies.com. Alright, I know this is old news by now but Ryan Sheckler took first place in Thrasher’s “Bust or Bail” contest recently. It all went down at the infamous Paul Revere 16 stair in San Fransisco, CA. You know, the one that Andrew Reynolds frontside flips for his last trick in “This is Skateboarding.” Well, those gnarly stairs got torn up during this contest by just about every contestant that was there. Tons of “Never been dones” were thrown down. The 16 step was annihilated by an assault of huge rail tricks and gnarly hammers off the set. Ryan Sheckler threw down what is probably a record setting 360 flip and hard flip off a set of stairs to date. I remember Bryan Herman throwing a tre flip down a fifteen stair for his ender in Baker 3. Now this dude’s throwing a tre flip down a 16 in a contest? Talk about one upping one another. He also backside flipped the 16 without a problem which leaves little room for doubt on his El Toro backside flip rumor. Andrew Reynolds also found himself one upping the bar taking down his prior frontside flip by doing it over the rail this time. And If I’m not mistaken, he heelflip varialed the stairs as well, which would be another first for the skateboarding world. 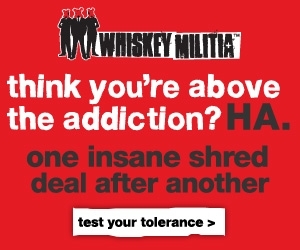 The bars was raised at this contest for sure. I almost felt as if this entire event went under the radar a bit. It was so insane and yet it didn’t get as much publicity as many of the other contests. This was real street skateboarding at its finest. No polished handrails, no miniature sized stair sets, no perfectly smooth landing spaces, just a real raw 100% legit spot. Everybody threw down their fair share of tricks but “Shecks” took the gold. We all know how many people hate on him. But whether you hate on Sheckler or not, you have to admit the dude is one hell of a skateboarder. Here is a video recap of the event. I’m pretty sure all of you have been keeping up with what’s going down at X-Games 14 this year. PLG took first place in Vert and basically another monster win aside from his recent Maloof Money Cup victory. Ryan Sheckler took 1st in the street competition and Bob Burnquist took 1st place in the Big Air or “suicide ramp” as I like to call it. And of course, Rune Glifberg super park 1st place victory, in what was is his first X-Games gold medal ever! Super stoked for him and big ups to all the X-Games competitors. One image sticks out in my head of all the X-Game highlights you could possibly gather. Danny Way and his epic flip slam during his run in the big air competition. Holy sh*t! Seriously watch his slam in the video below if you haven’t seen it, you’ll know why I call the Big Air ramp the “suicide ramp.” The dude cheated becoming a vegetable by like a few inches, no joke. He hits his shin on the ramp and somehow propels and does a full flip to the bottom. I thought he was out for sure and then he comes back and blows our minds just moments later. I have said it once and ill say it again, Danny Way is a maniac on wheels, the dude comes right back and pulls off a gnarly line. Jake Brown, despite last year’s painful near death experience, comes back like nothing happened. The whole contest was epic. The level of skateboarding at this year’s X-Games was turned up a huge notch. I do have to admit though aside from the big air competition the crowds at the games seemed a lot mellower viewing the skateboarding events than in past X-Games events.